It’s getting colder in many parts of the country and for man, that means more time indoors. Along with your favorite chair or spot on the couch, Amazon, Netflix, Hulu, Roku, and other media sources will probably get used a bit more. I really enjoy movies, music, and audio. In terms of film, I like a good movie in any category, but can’t stand poor films. What is good and poor is somewhat subjective, although I think there are standards that basically any person can agree with. Generally I’m an American Film Institute (AFI) type of movie goer. AFI rates the top 100 films in various categories (drama, comedy, etc.) and many of those films are on my favorites list as well. Advertising disclosure: I’m trying to get a functional Amazon Affiliate account going. With that said, I’ve attached some links to these films on Amazon that may earn a commission at no additional cost to you if you choose to view or purchase the films through Amazon. Some films didn’t seem to be listed on Amazon, so if I could find them for free on the internet, I provided a link. Basically if you click on a movie and end up purchasing it from Amazon, I’ll get a very small portion of the sale. Thank you in advance. 1. The Green Prince – a hidden gem that most people probably haven’t heard of. I didn’t have a huge interest in the movie until I actually saw it. Whatever your opinion of the issues in the Middle East, you should see this movie. It’s a great film, award winning, and best of all, completely true. 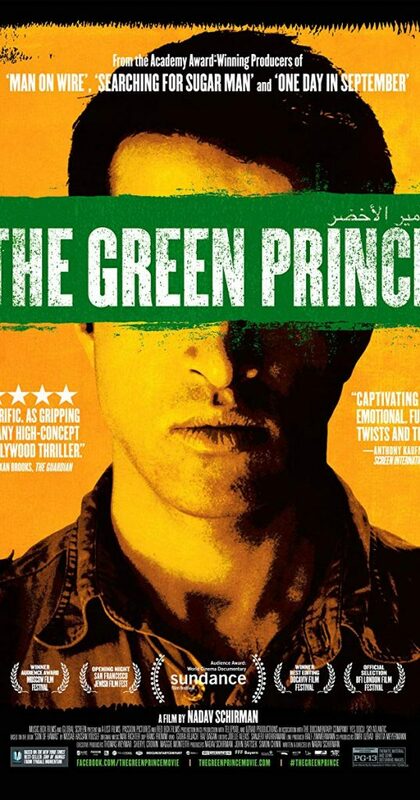 Movie synopsis: The Green Prince exposes a world of betrayals, impossible choices, and deadly secrets amidst the chaos in the Middle East, detailing the extraordinary true story of a Palestinian born Israeli informant and his Israeli Shin Bet handler. Link for blu-ray DVD format or purchase and watch online. 2. 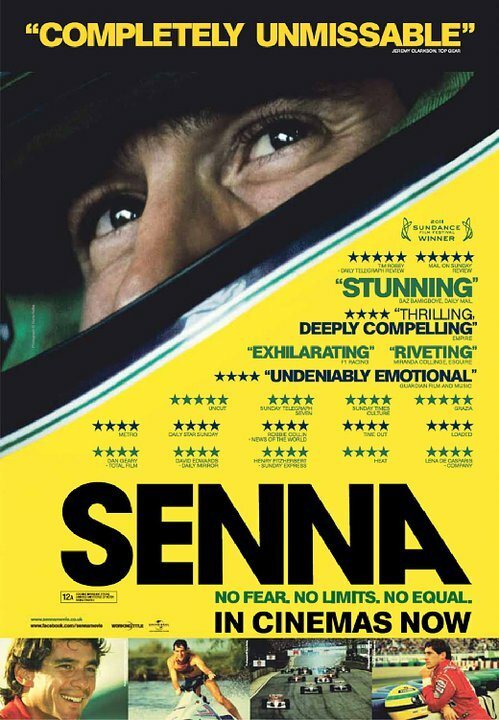 Senna – I’m not a massive racing fan, but there are some excellent racing documentaries and this is probably the best. Great behind the scenes footage and life story of probably the best Formula 1 race car driver of all time. Most people haven’t heard of him, but Aryton Senna is a legend in racing. A must see if you like racing, documentaries, or good films. Film synopsis: A documentary on Brazilian Formula One racing driver Ayrton Senna, who won the F1 world championship three times before his death at age 34. Watch online via Amazon or purchase Blu-ray format. 3. 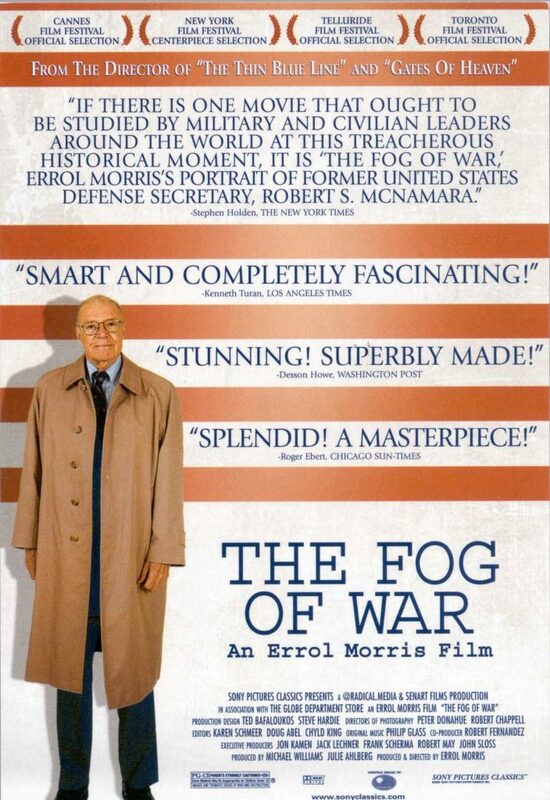 The Fog of War – One of my favorite films of all time in any category. It’s amazing to see and hear how close the United States came to full out nuclear war with the Soviet Union. Film synopsis: Academy Award – winner for Best Documentary Feature, THE FOG OF WAR is the story of America as seen through the eyes of the former Secretary of Defense under President Kennedy and President Johnson, Robert S. McNamara. I don’t believe the movie is out on Blu-ray format yet, but it can be watched online via Amazon or purchased on DVD. 4. 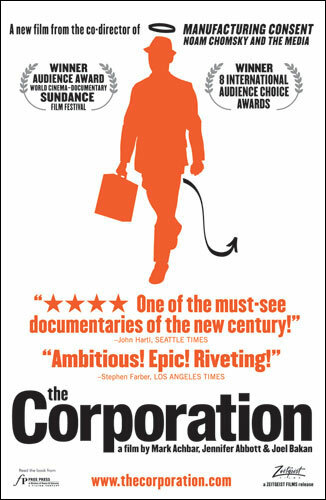 The Corporation – with an array of interesting guests, this film gets to the bottom of the American corporation. It looks at how corporations came to be and where they are now. The film leans left and many of the guests do too, but the film is still riveting. Film synopsis: The Corporation is a 2003 Canadian documentary film written by Joel Bakan, and directed by Mark Achbar and Jennifer Abbott. The documentary is critical of the modern-day corporation, considering its legal status as a class of person and evaluating its behaviour towards society and the world at large as a psychiatrist might evaluate an ordinary person. To my knowledge, the film isn’t available on Blu-ray, but can be purchased online through Amazon or bought via SD DVD. 5. 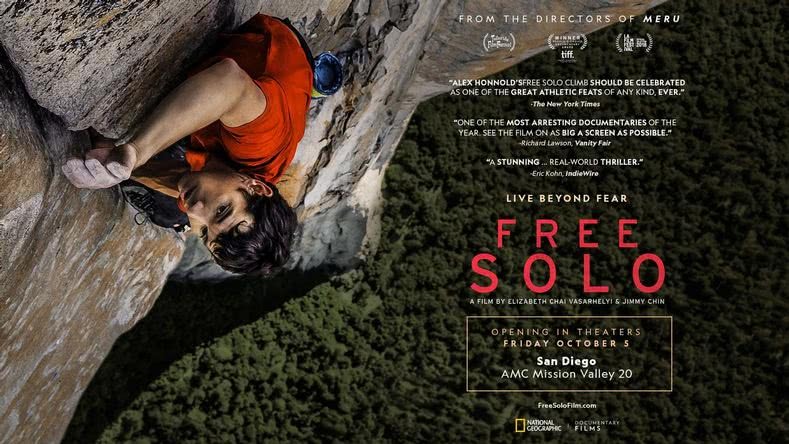 Free Solo – In the past few years many people have become familiar with mountain climber Alex Honnold through his appearances on 60 minutes, late night talk shows, climbing movies, and other notable interviews and appearances. Long story short, he’s the greatest rock climber in the world, and probably of all-time. This is a really well done film and has some amazing (AMAZING) views of his El Capitan climb. I had high expectations seeing this film in the theater a few weeks ago, and my exceptions were surpassed by the film. Movie synopsis: Free solo climber Alex Honnold prepares to achieve his lifelong dream: scaling the 3,200-foot El Capitan in Yosemite National Park without a rope. The movie is still out in some theaters nationwide but can also be purchased and viewed online. 6. 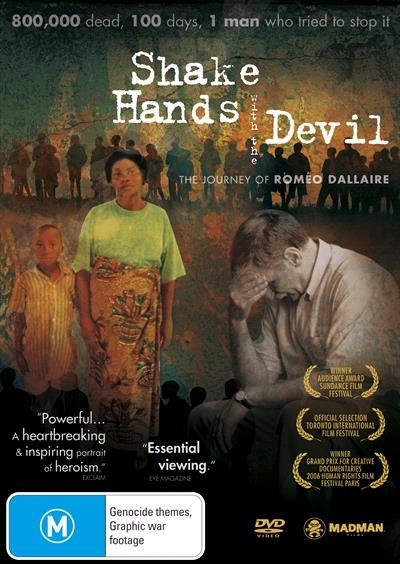 Shake Hands with the Devil: the Story of Romeo Dallaire – a much lesser known film on this list, this one follows Romeo Dallaire, the general in charge of the U.N. forces in Rwanda during the genocide in the 1990’s. I read the book and it’s absolutely fantastic. The film is also good (though not as good as the book in my opinion), and gives an inside account of what it’s like for people who were caught up in some of the world’s worst mass killing. Large scale atrocities in my lifetime have had a big impact on me, some of which, I’ve traveled to (such as Srebrenica in Bosnia). An important film to understand what it was like in Rwanda at that time through the eyes of one of the most central figures in the conflict. Film synopsis: A vital document in any understanding of the 1994 genocide in Rwanda, Shake Hands with the Devil looks at the disaster through the eyes of a hugely conflicted observer. Romeo Dallaire was the Canadian general commanding the handcuffed U.N. forces. It looks like there are a few formats to watch the film in via Amazon. If that doesn’t work out, many public libraries may have a copy. Well worth seeing and/or reading about. 7. The Endless Summer – Even though I live in the Midwest, I love to surf. This film captures the early years of surfing and some of the nostalgia that I love about that era. Film summary: The ultimate surfing adventure, crossing the globe in search of the perfect wave. 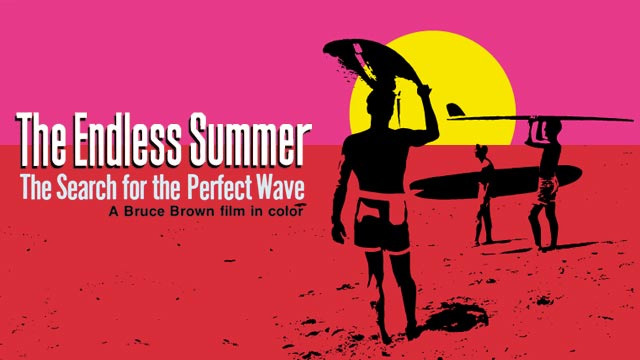 Director Bruce Brown creates a film so powerful it has become a timeless masterpiece that continues to capture the imagination of every new generation. A classic. It doesn’t appear that you can buy the DVD on Amazon, but it appears that you can watch it for free by joining the Surf Network via Amazon. 8. 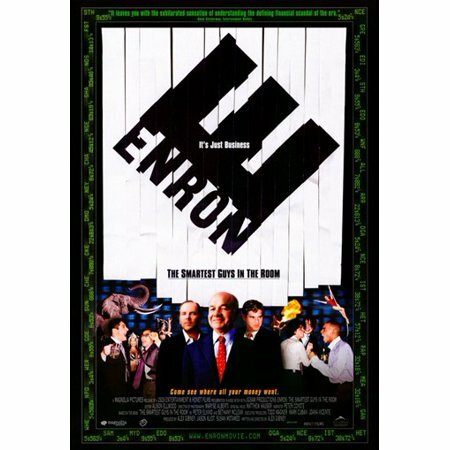 Enron: The Smartest Guys in the Room – Once upon a time, I worked for a company that competed against Enron. It sold electricity on the open market to large corporations like the University of California, Walmart, and even “green” companies Patagonia. After losing out to Enron in a few open contract bids, one of the higher ups involved in the loosing bid lamented, “I don’t understand how we could have lost that bid. The only way Enron could have beaten our price was to basically sell it for free or below cost.” Well it turns out that his hunch was probably correct. Once considered one of the top companies on Wall Street, Enron’s fall was considerable. The book is also a nice read. Film summary: The inside story of one of history’s greatest business scandals, in which top executives of America’s seventh largest company walked away with over one billion dollars, while investors and employees lost everything. Based on the best selling book. This documentary exposes and documents that fall. You can stream the movie on Amazon or buy it via DVD or Blu-ray. 9. 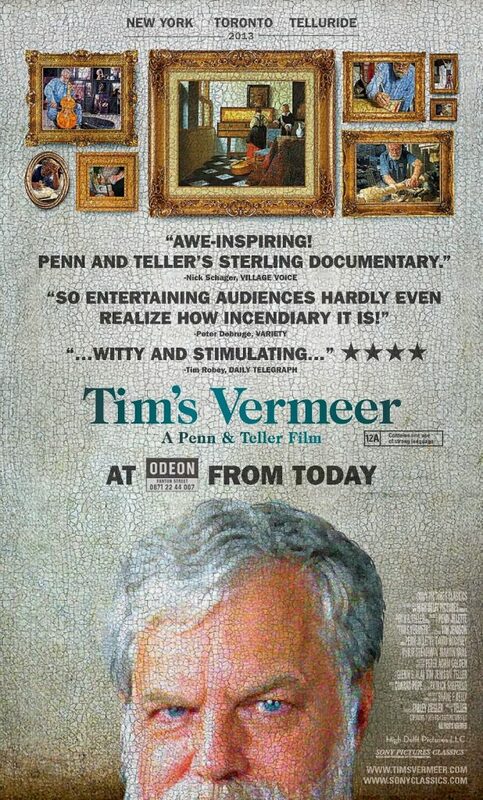 Tim’s Vermeer – an absolute gem of a film. I had no idea what to expect going in and had only heard rumblings about a nice film about art. Mission accomplished many times over, and one of the more interesting films that I’ve seen in the last few years. The film is basically about a really smart guy who tries to reproduce a Vermeer painting; or one of the most realistic works of art every produced. Film synopsis: Tim Jenison, a Texas-based inventor, attempts to solve one of the greatest mysteries in all art: How did Dutch master Johannes Vermeer manage to paint so photo-realistically 150 years before the invention of photography? Spanning a decade, Jenison’s adventure takes him to Holland, on a pilgrimage to the North coast of Yorkshire to meet artist David Hockney, and eventually even to Buckingham Palace. The epic research project Jenison embarks on is as extraordinary as what he discovers. The film can be streamed via Amazon or purchased via DVD or Blu-ray. 10. 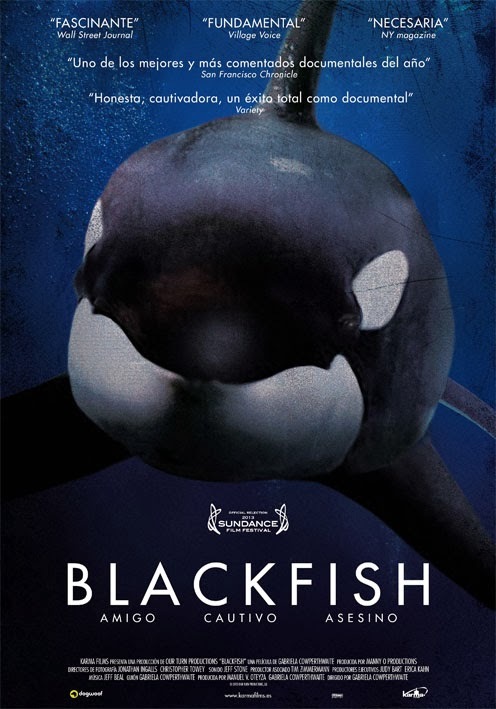 Blackfish – incredible film about SeaWorld and the treatment of it’s Orca’s and staff. Rare footage of Orca’s in captivity and interviews with SeaWorld employees. Wonderful and important film. Movie summary: Killer whales are beloved, majestic, friendly giants, yet infamous for their capacity to kill viciously. Blackfish unravels the complexities of this dichotomy, employing the story of the notorious performing whale Tilikum, who — unlike any orca in the wild — has taken the lives of several people while in captivity. The film can be streamed on Amazon and is also available on Blu-ray. 11. Sugar Coated – an interesting film that examines the dangers of sugar to human health. It’s controversial because one of its lead physicians, Robert Lustig (pediatrician), believes that sugar is toxic for the body. Lustig has been featured on 60 minutes and many other media for his opinions, and this film dives deeper into human health and links to sugar. When I travel overseas there is such a big difference between how big (overweight) Americans are compared to foreigners. I’m not saying it’s all sugar related, but I think a large part of it is diet (and sugar is part of that). Film summary: Sugar Coated investigates a once secret public relations campaign, dating back to the 1970s, where the sugar industry deflected threats to its multi-billion dollar empire from scientific research emerging implicating processed sugar with adverse health effects. In order to continue sweetening the world’s food supply, thus securing continued profits, the sugar industry turned to the very same deceptions and tactics lifted from the tobacco industry. Using big sugar’s own internal documents on this strategy, Sugar Coated reveals the well-oiled tricks of the trade to confuse the public about what is really driving the global pandemic of obesity, diabetes, and heart disease. I don’t believe Amazon currently sells this movie, but it can be viewed for free on the internet (below). I’m sure many local libraries have this on DVD too. 12. 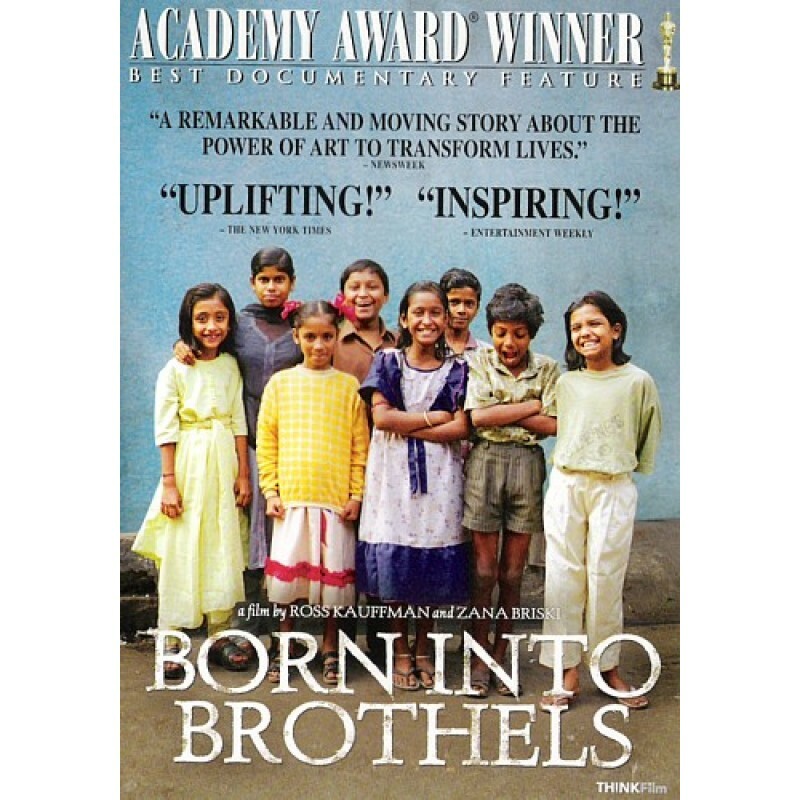 Born Into Brothels: Calcutta’s Red Light Kids – a fascinating look into the lives of some children and women in the slums of Calcutta, India’s. One of the better documentaries that you’ll ever see. 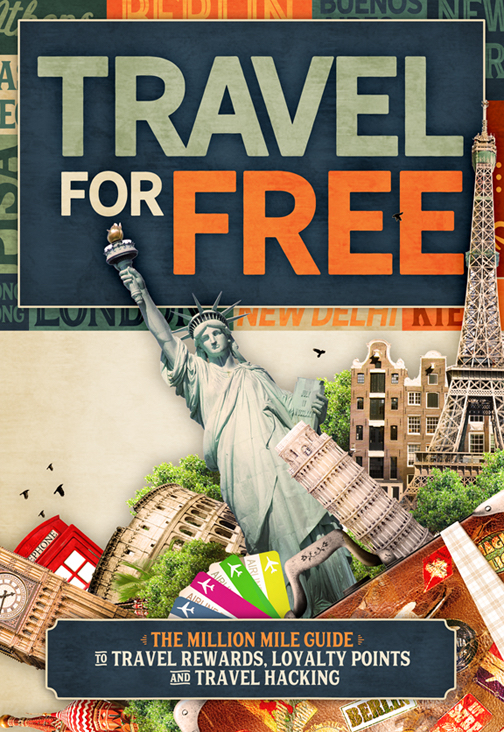 I’ll be in India in a few months and plan to visit some of these areas to see what life is like there. The film starts and ends in directions that you may not have foreseen. Film summary: a portrait of several unforgettable children who live in Calcutta’s red light district, where there mothers work as prostitutes. Spurred by the kids’ facination with her camera, Zana Briski, a New-York-based photographer living in the brothels and documenting life there, decides to teach them photography. As they begin to look at and record their world through new eyes, the kids, who society refused to recognize, awaken for the first time to their own talents and sense of worth. It looks like Amazon only sells a standard DVD version of this movie, but I think you can watch it for free in standard definition via Vimeo here. Local libraries often have copies of the film too. Even in standard definition, it’s WELL worth watching. 13. 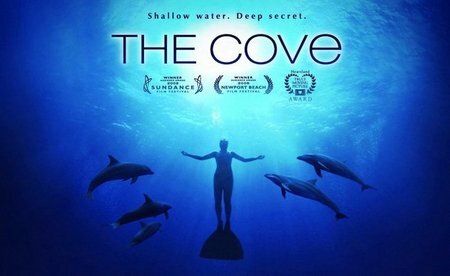 The Cove – an important film that’s not for the faint of heart. To see what’s happening to wildlife in other parts of the world is an eye opener for many Americans and this film highlights some major issues for creatures of the ocean. The film summary is pretty vague but the film is definitely worth seeing: An amazing true story that is one part action-adventure thriller, one part documentary and a completely heart-pounding call for help from the world’s oceans. The film can be streamed on Amazon or purchased on Blu-ray. 14. 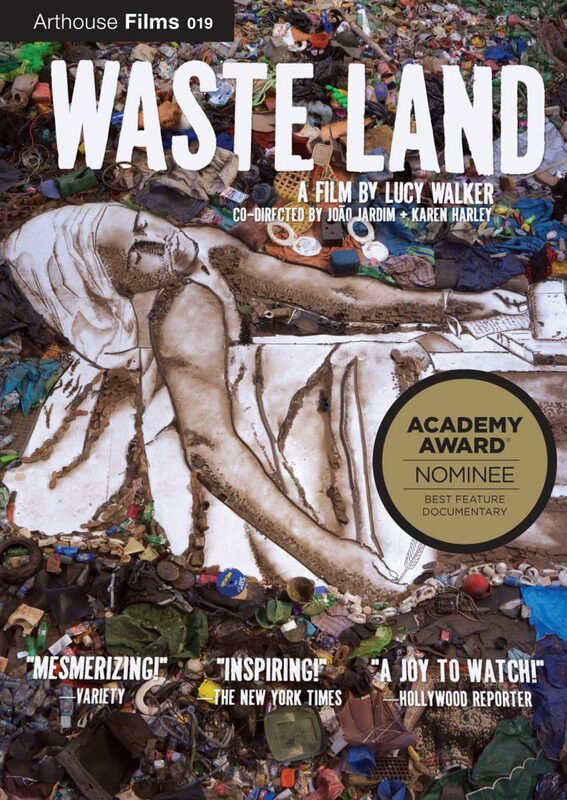 Waste Land – another film many haven’t heard of but will probably love. Art meets trash, literally. The film focuses on trash pickers in Brazil and goes from there to create an incredibly powerful, and interesting story. Film synopsis: Located just outside Rio de Janeiro, Jardim Gramacho, Brazil, is the world’s largest garbage landfill. Modern artist Vik Muniz works with the so-called catadores, the men and women who pick through the refuse, to create art out of recycled materials. Muniz selects six of the garbage pickers to pose as subjects in a series of photographs mimicking famous paintings. In his desire to assist the catadores and change their lives, Muniz finds himself changed as well. The movie can be streamed on Amazon and also purchase via standard definition DVD. 15. Inside Job – A nice look back at the recent financial crisis and the events and major players that led to it. The film is narrated by Matt Damon and leans a little left, but is still really good. 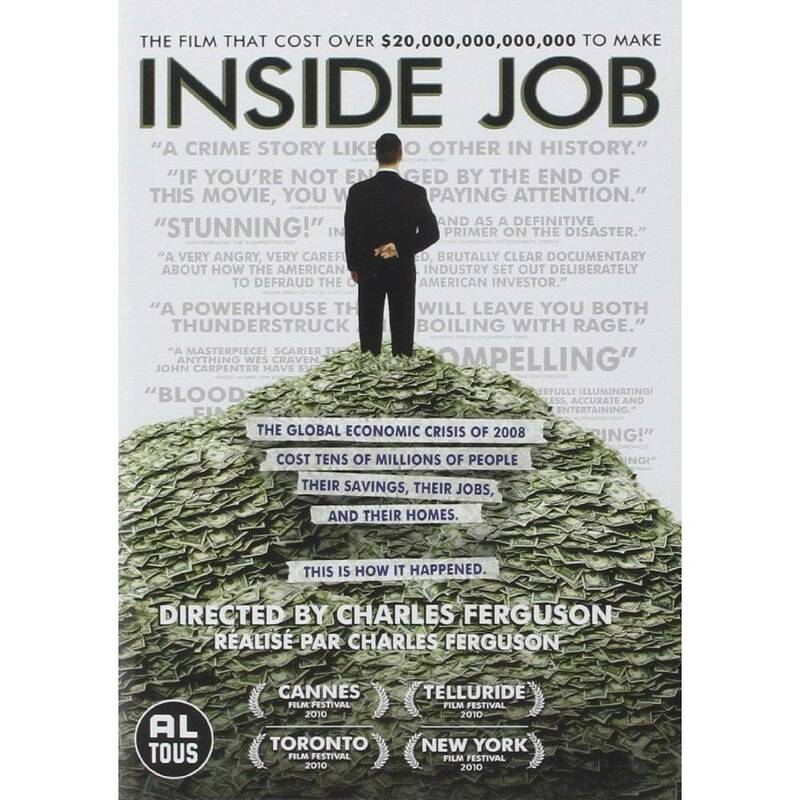 Film summary: Inside Job, directed by Charles Ferguson shows that the 2008 global financial Armageddon was no accident. It was predicted and could have been prevented. This compelling, serious, easy-to-follow film will make you want to raise your voice and declare…”Enough!” The movie can be streamed on Amazon and also purchased on Blu-ray. 16. I.O.U.S.A – not that worried about the United States’ federal deficit? After seeing this movie you might be. Unfortunately, this movie was made in 2008 and things are even worse now. 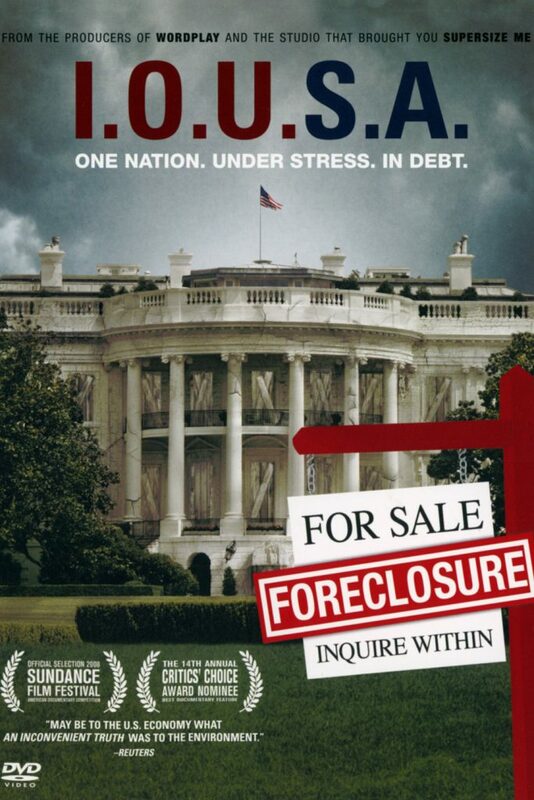 A great look at federal spending and debt in the U.S. Film summary: I.O.U.S.A. boldly examines the rapidly growing national debt and its consequences for the United States. Burdened with an ever-expanding government, increased international competition, overextended entitlement programs, and debts to foreign countries that are becoming impossible to honor, America must mend its spendthrift ways or face an economic disaster of epic proportions. The movie can’t be streamed on Amazon yet, but can be watched on YouTube for free, and can also be purchased on DVD. 17. Spellbound – a documentary that follows young students who compete in the National Spelling Bee competition. I didn’t think it was possible, but the film actually makes the National Spelling Bee intense and interesting. 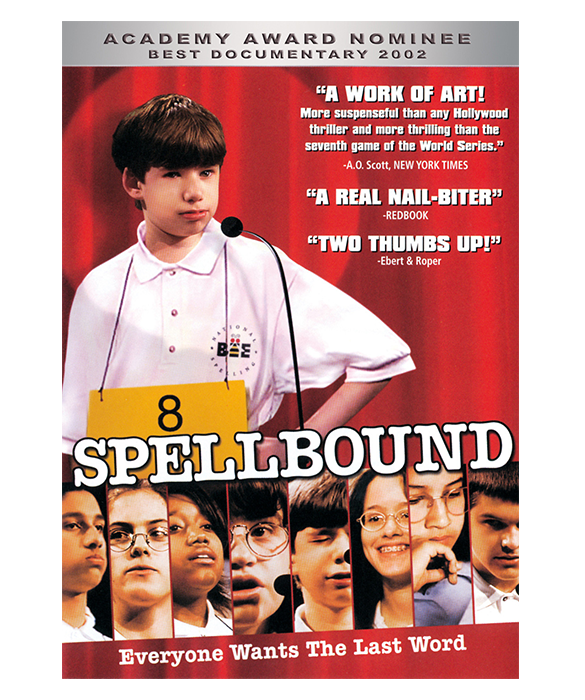 Movie summary: SPELLBOUND follows the lives of eight young Americans who share one goal: to win the National Spelling Bee. Think this sounds boring? Prepare to be blown away. The Bee is as intense a competition as any Olympic match, and for the spellers and their families, the stakes are just as high. The unbearable pressure becomes even more extraordinary as it is felt by ordinary teenagers. Watch as the Bee becomes a dramatic backdrop for the bigger story about kids and families today as we discover that within the roller coaster ride of the National Spelling Bee can be found the heart of America. Amazon has streaming options for the movie, but it can be purchased on standard definition DVD. 18. 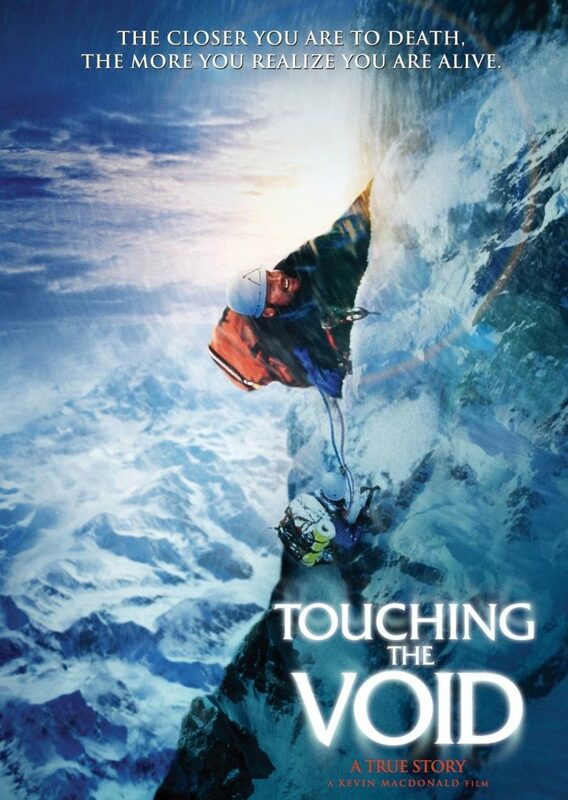 Touching the Void – a gripping and fantastic movie about a climbing mission gone wrong. Like the men featured in the film, I’m athletically driven and goal oriented, but also have huge respect for the power of nature. This story is remarkable and probably doesn’t end like you think it might. Wonderful film, definitely worth seeing. The book is also an intense read. Film summary: In 1985, two young climbers, Joe Simpson (Brendan Mackey) and Simon Yates (Nicholas Aaron), set out to be the first to reach the summit of the Siula Grande in the Peruvian Andes. They succeed, and the two embark on the treacherous descent down the mountain — only to meet with disaster when Simpson breaks his leg in a fall, leaving Yates to lower him the rest of the way with ropes. When a storm threatens both their lives, Yates must decide whether to cut the rope and risk Simpson’s likely death. The movie can be streamed on Amazon in a variety of formats. 19. 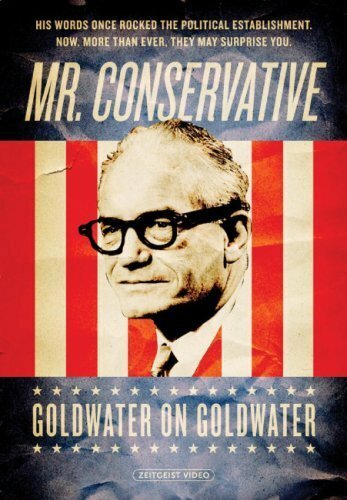 Mr. Conservative: Goldwater on Goldwater – politics has become a pretty dirty word in America, but this film looks back in time at one of America’s most notable conservatives Barry Goldwater (R – Arizona). Just hearing Hillary Clinton talk about her time as a conservative “Goldwater Girl” is probably enough for many to see this movie, but lots of other interesting footage and information abound in the film. Amazon sells this movie on DVD but the price seems high at last check. It can be viewed for free online, but a library may be your best option for best viewing quality and price (free!). 20. 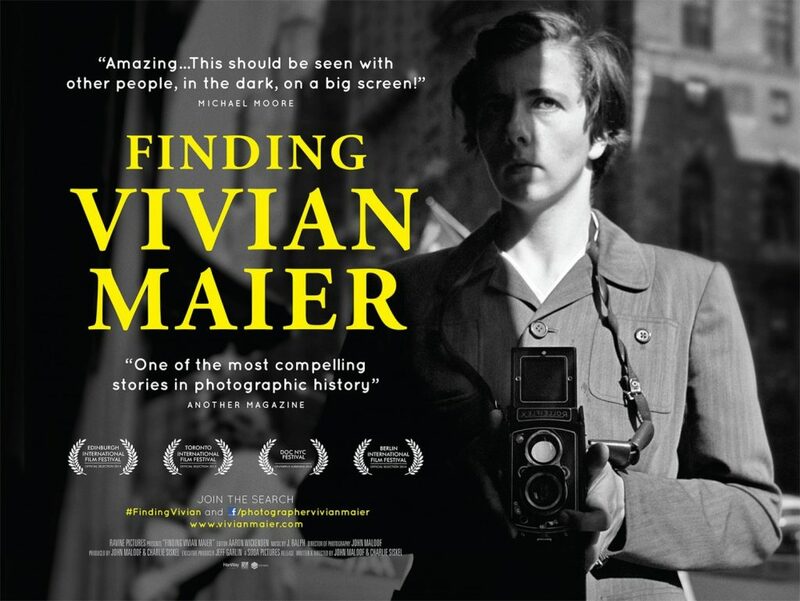 Finding Vivian Maier – there might be slightly ‘better’ films (like Amy) than this that didn’t make my top 20 documentary list, but this movie is really nice. It’s made my list because it’s not only interesting, but also has some intrigue and mystery in it. The story of the life of an unknown photographer along with some lost and found photos. It may sound benign, but it’s a wonderful story and film. Movie synopsis: The purchase of a storage locker leads a man to uncover mysterious photographs, resulting in the astounding discovery of one of the 20th century’s greatest artists. The film can be streamed on Amazon and purchased via DVD too. Some movies listed in this top 20 are basically interchangeable with some of the films below. Still lots of good movies left (below) if you haven’t found something that grabs your attention yet.